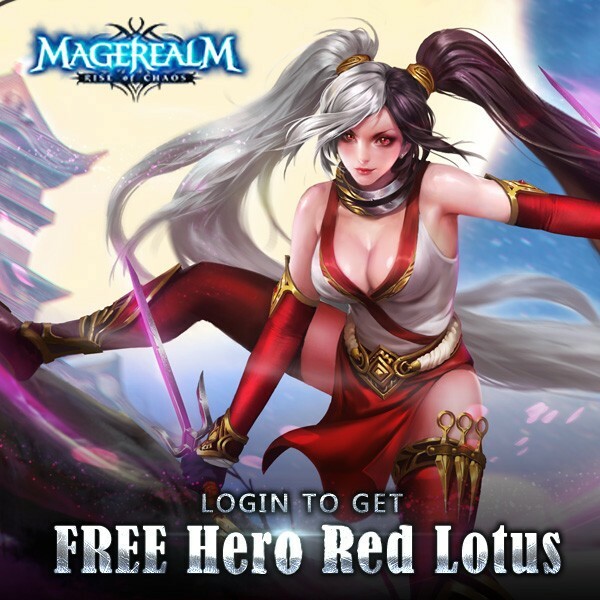 Login To Get FREE Hero: Red Lotus In Magerealm! From Nov.11th to Nov.21st, all players can claim tons of free resources and 300 Realmgems in total simply by logging into the game each day! Plus, players who managed to login for 10 days during the event will receive the futuristic Hero: Red Lotus FREE!